A geometric silver based lamp with a rectangular shade. 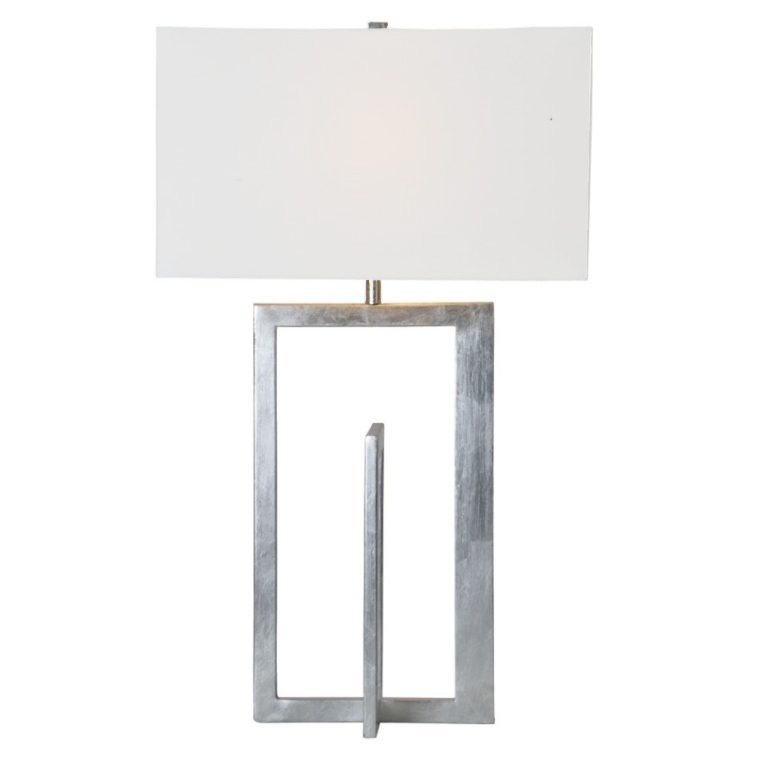 Add light and dimension to your space with Wilner. 16" x 7" x 27"